Viacom has been going through some turmoil at the top of the corporate ladder lately. Philippe Dauman was unceremoniously relieved of his duties as President, CEO, and Chairman this past fall. But don't worry too much about him, his contract was well equipped with one of Hollywood's famous golden parachutes. For the fiscal year that ended in September, Dauman made $93 million in compensation. That included a $3.6 million salary, $13.8 million in stock awards, $7.5 million in option awards, $9.7 million in non-equity incentives, and $58.4 million in other compensation — which includes his severance package. His salary and other benefits were pro-rated to his termination date of August 18th. Dauman served as the President, CEO and Chairman of Viacom since September 2006. He is a longtime associate of Chairman Emeritus Sumner Redstone. 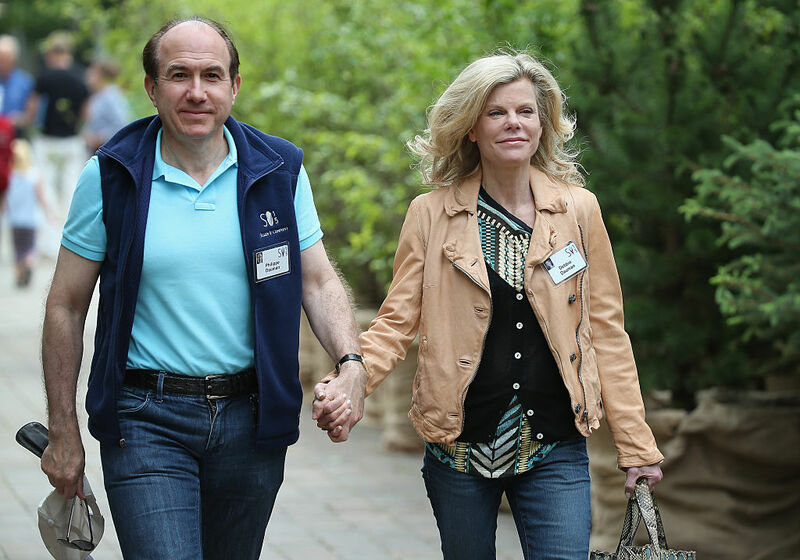 On February 4, 2016, it was announced that Viacom's board elected Dauman as Sumner Redstone's replacement for the position of Chairman of Viacom. Dauman was Viacom's heir apparent for a very long time. The former CEO fought mightily to keep his job but has been at odds with the Redstones since May. At that time, he was removed from Sumner Redstone's trust. He then asserted his doubts about the competency of Redstone, in a statement through his attorneys: "These steps are invalid and illegal. As court proceedings and other facts have demonstrated, Sumner Redstone now lacks the capacity to have taken these steps. Sumner Redstone would never have summarily dismissed Philippe Dauman and George Abrams, his trusted friends and advisers for decades." Viacom's annual shareholder's meeting will take place in New York on February 6th. Typically no surprises are expected as the Redstone family's National Amusements controls roughly 80% of the voting shares of the media company. However, after that meeting, Sumner Redstone will be removed as a voting member of the board. He is expected to "continue to participate in meetings of the Board in a non-voting role." Redstone was paid $1.3 million for his work as Chairman of Viacom through May 20th, when he officially stepped down. Last Saturday, Viacom confirmed that Chairman Philippe Dauman will step down on September 13th and walk away with his severance package. In Hollywood they call these kinds of deals "golden parachutes," and Dauman's is indeed that! Last week, Sumner Redstone moved to oust Viacom CEO Philippe Dauman from the company's board of directors. If he's successful, Dauman could get millions.